News Flash! As Seen on KSDK5 February 22, 2012. According to the St Louis branch of the Better Business Bureau, Michigan-based company, Run Local Locksmith, is the focus of several complaints from St. Louis area customers who say they were lured by low advertised prices, but then charged much higher fees by workers who responded to service calls. Beware St Louis, another company has been discovered by the BBB to be fraudulently scamming locals using classic bait and switch tactics online, using sponsored advertising in search engines and other sites across web sites. Essentially you see these ads at the top of the page when you search. These ads clearly say $15 Service Call. Most genuine locksmiths like us charge the average $65 for an opening, but these guys are taking advantage of people. A couple of years ago the H5N1 - Bird Flu virus made news headlines across the globe. There were about 350 reported deaths across the world and many thousands more were infected before an anti-virus was found. In recent days days (see source below), a discovery has been made in Vietnam of a new strain (mutation) that is allegedly impervious to the anti-virus. 10 people have died in Cambodia, Egypt, Indonesia, China and Vietnam. The new strain has also been found in Bangladesh and Nepal. The WHO (World Health Organisation) is remaining tight lipped about it, but I think it is vital and important to be aware that Bird Flu is again on peoples minds. Whereas the transfer of the virus is usually through peoples contact with poultry, these viruses are known to mutate quite quickly and could spread rampantly due to migrating birds. We post this here to remind our readers of the Serrature Meroni Anti-Bacterial door handle products, that mitigate the transfer of potentially threatening virus' and other diseases by contact. In many environments in our daily lives, we often will touch a door handle or knob that has been touched by others. In high-trafficked environments, we can have little to no control over the spread of illnesses and having the benefits of Meroni anti-bacterial door knobs on our doors, could help to prevent us from getting sick. Crime Of Opportunity - Do You Really Know Who Has A Copy Of Your House Key? I did a job for a customer the other day who had her home burglarized and her insurance company refused to pay the claim. The reason is, there was no sign of forced entry. This lady had only recently moved to the new home and when she moved in, had new locks installed. She took her car to the local mechanic, who she had been going to for many years, to get it serviced. As normal, she pitched the keys to the mechanic and went to wait in the waiting room. Little did she know, but the mechanic had recently taken on a new employee, laborer to do general duties in the workshop. 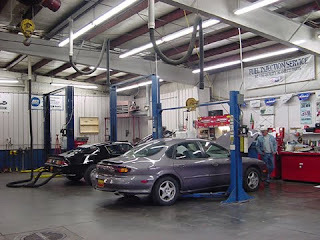 The mechanic shop thought they were doing a good thing by giving an unemployed person a job. According to the police report, they searched this persons house on suspiscion because the mechanic shop is the first and only place the lady went to, where she was without her keys. The good investigative work by the police, found her property in this persons possession after contacting the mechanic and getting a list of the people that worked there the day the lady brought the car in. Being without her key for a short time, the burglar had opportunity to get the number off the key, see the customers records, obtain her address and get a key made to the code number. Then they obviously robbed the home. I recently changed the locks to restricted copy proof keys, that prevent any similar scene from happing again. Do you know and trust everyone who may have access to your keys? ABC News 10 New York back in early November started airing some odd interviews with a former burglar, in a rather odd attempt to get advice to consumers about how to secure your homes. While some of the advice is on par, it is troubling and obvious that this "expert" does not know the law or life safety codes regarding double cylinder locks and why they should not be used. He goes on to suggest other ideas as well that are a little ambiguous also. He suggests that alarms are the difference between security and not. Nothing is further from the truth. Alarms cannot and can never provide any form of physical security protection. Virtually all burglars know that if they set off an alarm to an unoccupied property, sure the authorities will turn up eventually, but the burglar just hides out of sight from the authorities. Usually the authorities will deem the alarm a false alarm, write the owner a bill for their attendance and leave the premise. The burglar comes back a second time and may indeed set the alarm off again, but is secure in the knowledge that the authorities are not going to return quickly to that property because they think it is false alarming. The burglar then does their damage and the homeowner suffers the loss. Often insurance companies will likely reject a claim because the authorities have written a false alarm ticket. This "expert" suggests to use a "charliebar" in a sliding door. 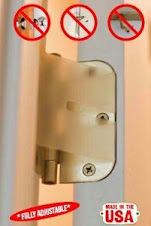 This is a suggestion however all burglars know how to easily and quickly bypass a charliebar. The suggestion of a broom handle or 4x2 in the track is often better, but the best suggestion is to put a self tapping screw in the top of the track to prevent the door from being lifted. The only suggestion of merit in the article (see source below) is using 3" screws or better strike plates, but this is the primary reason the Strikemaster II Pro is such a formidable foe to burglars. When it comes to windows, this "expert" suggested double cylinder locks. 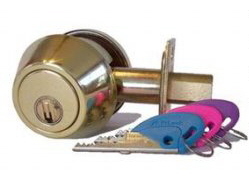 Double cylinder locks are illegal in almost every jurisdiction in the USA, if used on primary entry doors. The best suggestion is to use products like ShatterGard window security film, that actually prevent a window from being broken. Shame on you ABC 10 New York for misleading consumers with advice from a burglar instead of a professional locksmith security expert. Sentry Safes - They Arent Really Safe Y'know! Many consumers buy safes from their local big box store, like Lowes, Home Depot, Wal-Mart, Kmart, Ace Hardware or even Harbor Freight. Ever heard the expression "pay peanuts and get monkeys"? The very popular Sentry brand of safes is on sale at just about every big box store in the USA. The one shown above is one of their popular models. 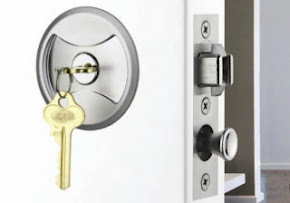 There are methods that we locksmiths employ that can get you into these safes with little to no damage but often the costs to pay for the specialized safecracking skills are so much more than the safe is worth. After viewing the above video, would you trust your valuables to this brand or type of safe? Purchasing a safe from a locksmith or specialty safe provider, usually gets you value and quality for money. How much are your valuables worth (Sentry buyers)? The above video shows a well known locksmith tool being used to circumvent the security of just about any lever handle lock. They also show a simple and effective method of prevention to this bypass method. Now, most homes employ both a handle and a deadbolt to ensure an entry door is secured but the quantity of online videos explaining how to pick locks and the availability of lock picking tools online can make the job of providing security more difficult to those whose job it is to be concerned. 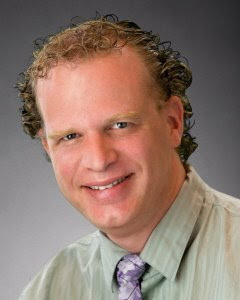 Luckily for some, there are products available that can mitigate the ease in bypassing these and similar types of locks. Our very impressive range of Serrature Meroni products are designed differently to mainstream knobs and levers. Meroni make push/pull levers and press button knobs that never require a handle or lever to be twisted/turned. The Meroni Pigio range are a very unique, high quality designed lever type entry handle that would make the above entry method more difficult to achieve. The Meroni Combina range are a beautiful version of the entry knob that exceed ADA laws and are very easy to install and use. The Meroni Nova range are the company's original product offering and are widely used across Europe and are starting to be found in the USA and Australia/New Zealand. The Meroni Forma range are also very stylishly designed, being oval shaped knobs. Again, they use push buttons to activate the mechanism, meaning no twisting or turning of the knob ever occurs. By having no twisting or turning of the handle/lever, less wear occurs on the mechanisms. Less wear means longer lasting products. Longer lasting products means value for money. 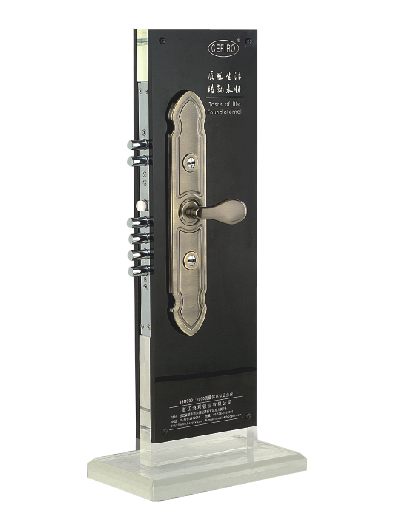 We plan to show more on these fabulous Meroni lock ranges in upcoming articles. Changing Locks - How Much Does It Cost? Many locksmiths would prefer you not know how lock re-keying is done. This talented young fellow has shown exactly the steps involved. Almost 4 years ago we posted a very popular article here explaining fees. Locksmith publications usually publish annual accepted industry averages. These prices vary across the country from $12 to $55 depending on where you live. We are pleased to say our prices have not increased in this time. We still charge $15.00 per keyhole including parts and labor. Master Keying is $20.00 per keyhole. We also rekey car locks too. Often $30 in parts are required and labor is negotiable. Many people are starting to look at wireless and battery powered digital door locks. It is important and vital to always include the mechanical backup option even with battery powered door locks. When your batteries run down, you still need to get in. This also explains why you should not just rely on your Remote Garage Door Control. I cant tell you the number of times I have been called to open houses for people who cannot get in their garage. Usually, power loss is the cause. But they dont carry a house key and to make worse, often leave the garage-house entry unlocked too. Does this sound familiar? International Silver Plating Inc. are a Glencoe Illinois based company that have been around over 80 years. As locksmiths and iron workers they continue to provide their unique and hard earned and acquired skills to rebuild and repair many products for many discerning customers. Many of their pieces are of museum quality and they are often the go to source for specialized piece restoration and repair. Check out their website in the source below, it is a wonderful insight into the true art and craftsmanship of locksmithing. While I personally have repaired and restored a few pieces for different customers across the world, I wish I had the depth of knowledge and expertise these chaps possess. Zhejiang Hongli Locks Co, is based in China. They are a well known manufacturer of some interesting high security lock products that differ greatly to mainstream products found in the USA. Pictured below, is a version of their armored lock. This virtually impregnable door lock is a mortice lockset comprising 6 stainless steel round bolts and a latching mechanism. They produce Hooply, Cefiro and Mingbang as their 3 primary brand lines. The company employs about 800 people and continues to be a dominant player in the Asian high security lock manufacturing industry. The cylinders used in these locks are known as lever type locks. They use double sided mortice bit keys (skeleton like). This means they are 100% bump proof and very difficult to pick. Even duplicating these keys is a chore. I have duplicated similar types of these keys, early in my career and I know they are very exact with very tight tolerances. They are usually required to be copied by hand, because finding suitable duplication machinery is not only difficult but incredibly expensive. I remember being required to fashion a blank by braising a flag to both sides of a steel stem. Then gently filing the blank until it was similar in shape to the original. I worked with a very learned professional, early in my apprenticeship, who taught me to use putty (plasticene) or play dough to form a mould around the original. I was then able to create a perfect duplicate using the mould as a guide. Difficult and time consuming, the reward was customer satisfaction and the knowledge that the key worked perfectly the first time it was tried. A recent memo from some of our suppliers informed us about many of the leading brand manufacturers increasing their prices for their products, effective February 1st, 2012. Assa-Abloy, HES, Schlage, HID, etc are among the few who have raised their prices. Lucky for some, we actually lowered many prices on our specialty inventory items. It is a competitive market out there and by offering the identical products to everyone else online and offline, the only way to remain competitive, many vendors can only compete on labor charges. Fortunately, by offering products that are less mainstream than brand named lines, we can offer super-competitive prices, as long as you are not fussed about having the brand named products. We offer Cal-Royal, Carbine, LSDA, Baron, Emtek, Meroni, Cowdroy, Lock Focus, Bilock products that are often similar in application to the more mainstream brands but at more competitive prices. We will also provide any brand, upon request if we can get it.